Where were Honeycrisp apples all of my life? I feel like I hadn’t tried one until the past year or two – I grew up with Golden Delicious, Red Delicious, Gala, Macintosh, and the like. But, Honeycrisp apples have become my favorite. As the name suggests, they are crisp and sweet. They are delicious for eating – they aren’t bad for baking but they aren’t my favorite. 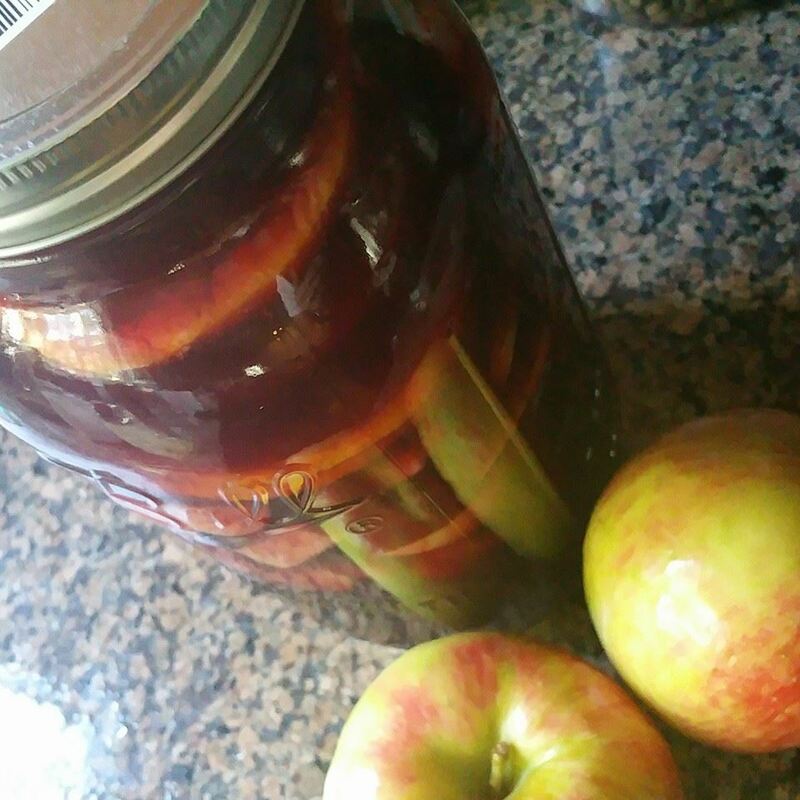 When I came across this recipe for Honeycrisp Apple Sangria, I knew it MUST be made. Sangria can require some intensive prep, but once the cutting and measuring is done, the payoff is high. Of course, it involves a little patience (and forethought) as the mixture needs to sit for the flavors to mix. 1-Place the cinnamon sticks, apples, and orange slices in a pitcher or large container with lid (I like to use the huge canning jars). 2-Add wine, apple cider, brandy, orange juice, and lemon juice. 3- Put in the refrigerator and allow to sit for 6-24 hours. 4-Taste the sangria and sweeten with 1-2 Tablespoons of sugar, honey or agave, if desired. 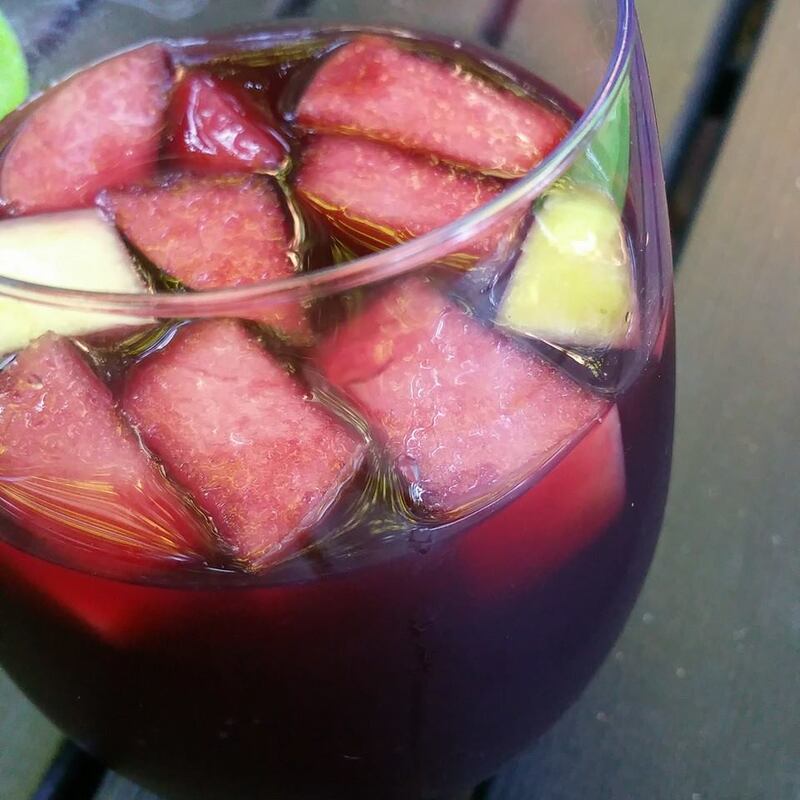 6-Pour sangria into glass with fruit and add a splash of club soda. This was delicious, light, festively spiced, and refreshing. The recipe I used recommended a light-bodied red wine (if you need ideas, see here) – but I also saw similar recipes for Honeycrisp Apple Sangria using white wine (see here), which could be equally fabulous. I also used apple brandy, because I didn’t have enough of the regular stuff. I don’t know if it made a huge difference in flavor, but it wasn’t a bad substitution. I left my sangria in the fridge for a few days and the cinnamon had really gotten quite strong. It didn’t occur to me, but it would have probably helped to sweeten it a little. Keep that in mind if you have any left that long – ha!